I know the holidays seem far away. But in order for you to have images in time for your holiday cards to go out, we need to start thinking about it now. Between my wedding schedule and holidays/life busy-ness, the available times fill up fast. 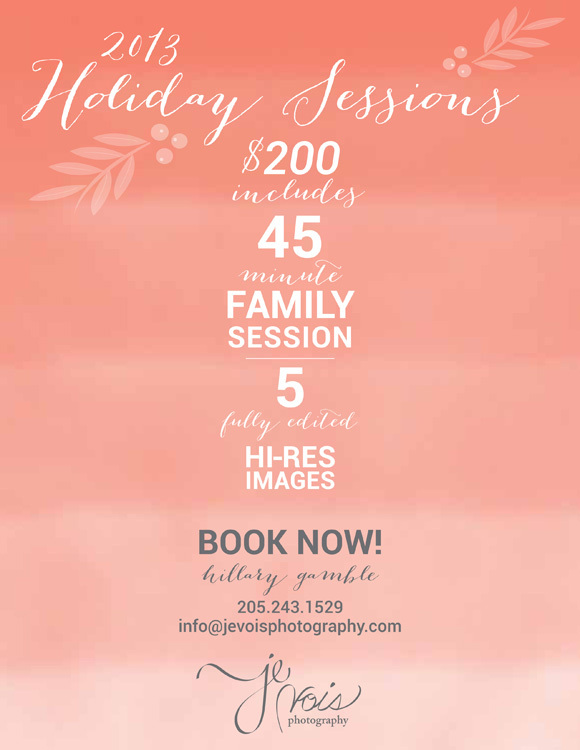 Let me know as soon as you know when you’d like to schedule your holiday portrait session! Before Thanksgiving is the least stressful for all involved. Looking forward to this crazy season!